If you watch NASCAR frequently, you’re probably not fond of the fact that five of the 10 championship-deciding races are on 1.5-mile oval tracks. 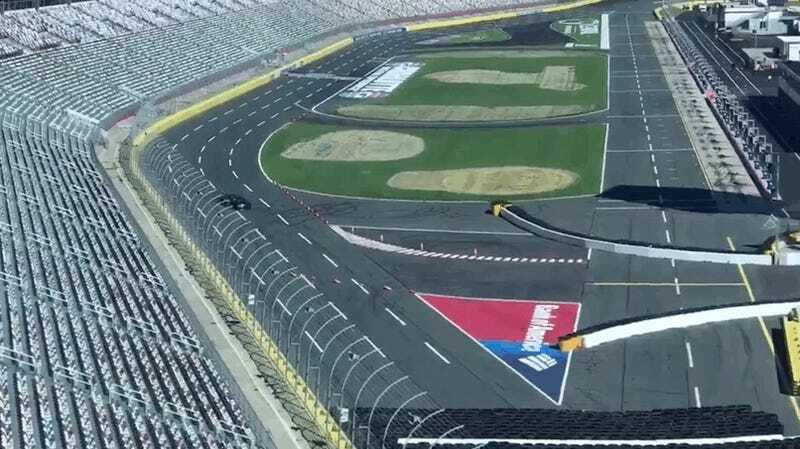 And if that’s the case, you were probably thrilled when Charlotte Motor Speedway announced it would run a road-oval layout for its championship race in 2018. The roval race will be NASCAR’s first road course in the now-named “playoffs” since they began about 14 years ago, meaning that it’s long overdue. With the current system, the two road courses NASCAR goes to each year don’t have much influence on the outcome of the championship due to their placement on the schedule—and to be a champion, you should have to prove yourself on every type of track the series has. After more than a decade, NASCAR finally gave into that notion. The Monster Energy NASCAR Cup Series race at Charlotte Motor Speedway on Sept. 30, 2018 will be one with many turns—18, to be exact—using the speedway’s oval and interior road course. Go ahead, watch it again. Watch it three times if you must. That feeling of joy you’re experiencing is understandable.